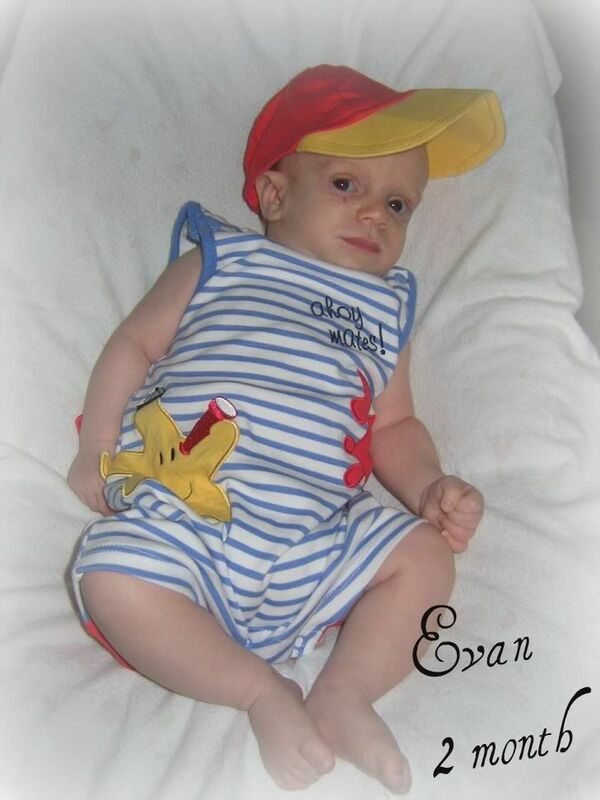 I can't believe it has been two months since our precious little angel went to heaven. There isn't a day that goes by that we don't think of her and wonder how she is doing. Mattie went so many places and did so many things with us this month. She even went to her big brothers' favorite place in the world, Myrtle Beach. I thought about all the new things Mattie would have done this month. She would probably be giving us big, beautiful smiles now, and if she's anything like her brothers, she would have already learned to giggle and laugh! If she is like big brother Brody, she would have already started sleeping through the night. She may have liked sitting in her swing and looking out of the window like her big brother Brody or sitting in her bouncer seat like her big brother Evan. We may have witnessed a temper tantrum or two. She would likely have her daddy wrapped around her little finger. Hopefully, she would have enjoyed cuddling with Mommy. She would probably have been crazy about her brothers, and her brothers would have felt the same about her. She would likely be filling out her newborn bath tub much like her big brother Brody. She would have enjoyed getting all dolled up for church. She may have loved her pacifier, or she may have already found her thumb like her biggest brother. Hopefully, she would have developed a love for her many silky blankets like her big brother Brody. 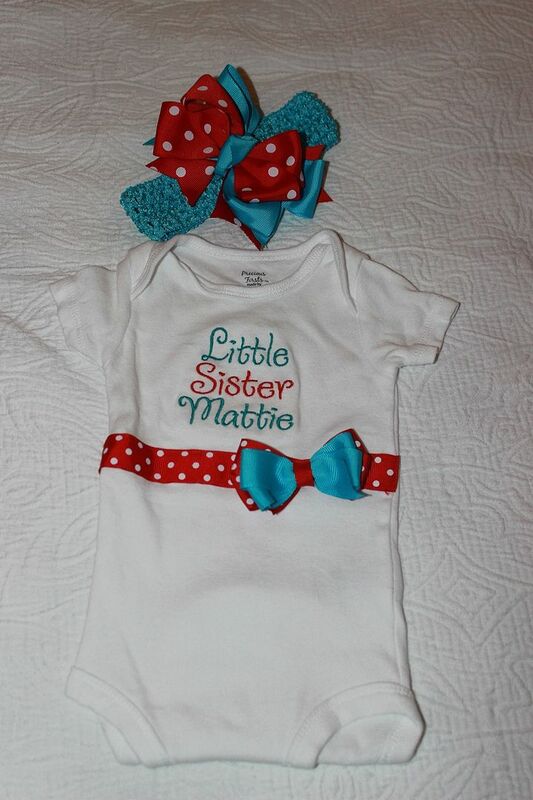 She would be enjoying lots of tummy time and play time with big brothers. I wonder if she would have liked cars or balls like her big brothers. She would have probably gone for rides in the laundry basket while Mommy or Daddy did laundry just like her big brothers did. At her two month check up, she may have weighed over 13 lbs. like her big brother and could have been about 24 inches long. 1. Mattie went to the beach! 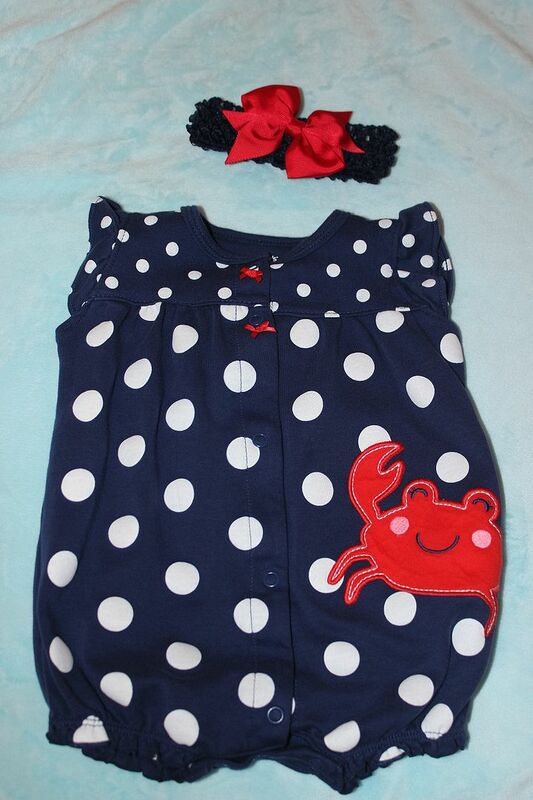 One of the cute outfits Mattie would have enjoyed wearing at the beach. 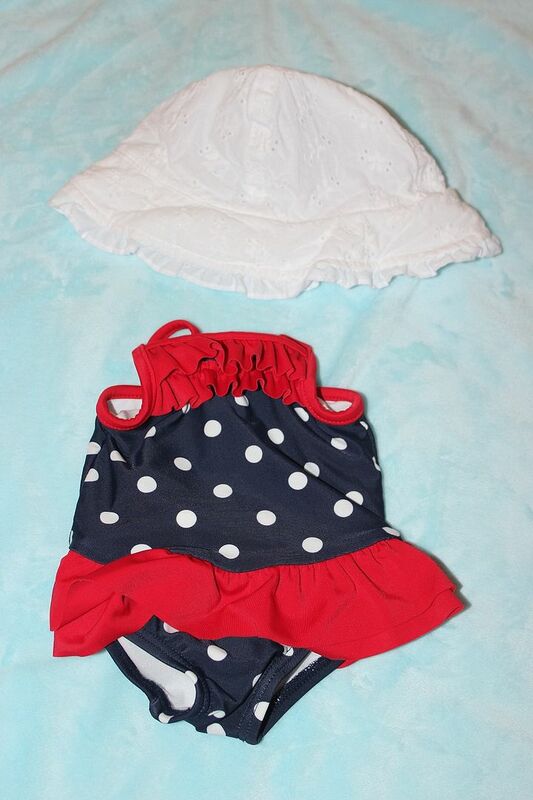 One of Mattie's adorable bathing suits. 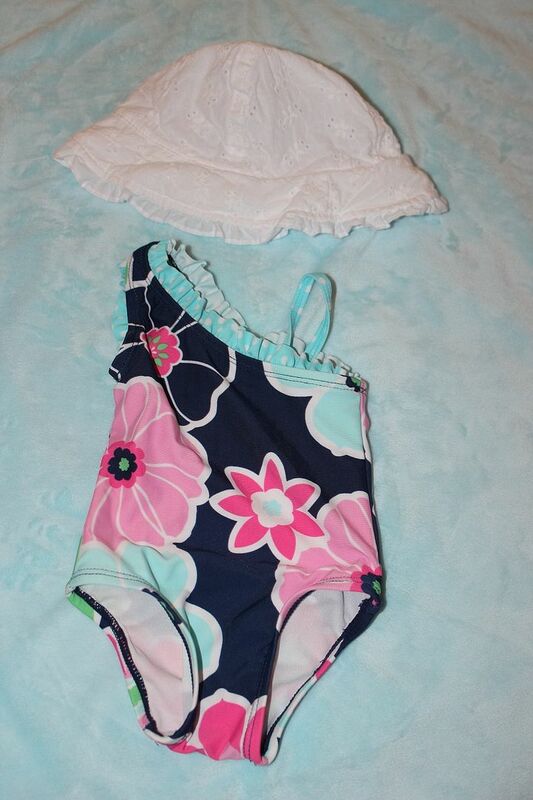 Another cute little bathing suit for our bathing beauty. 2. 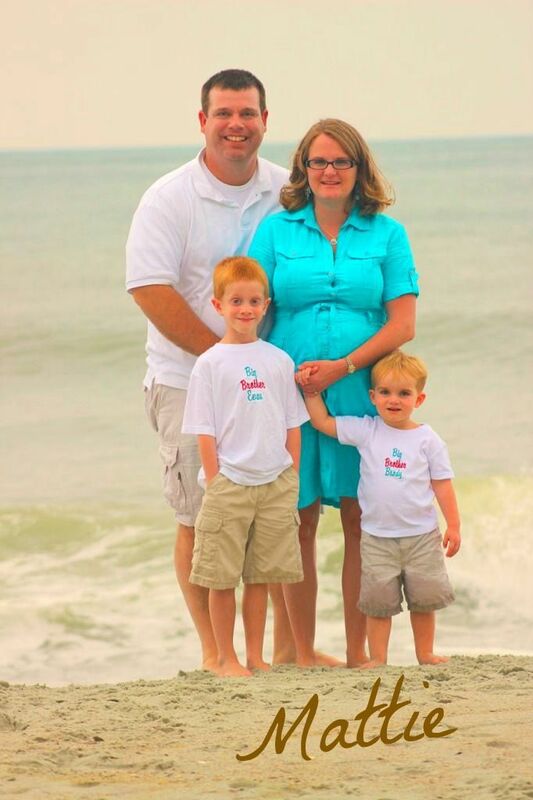 We took family pictures on the beach! 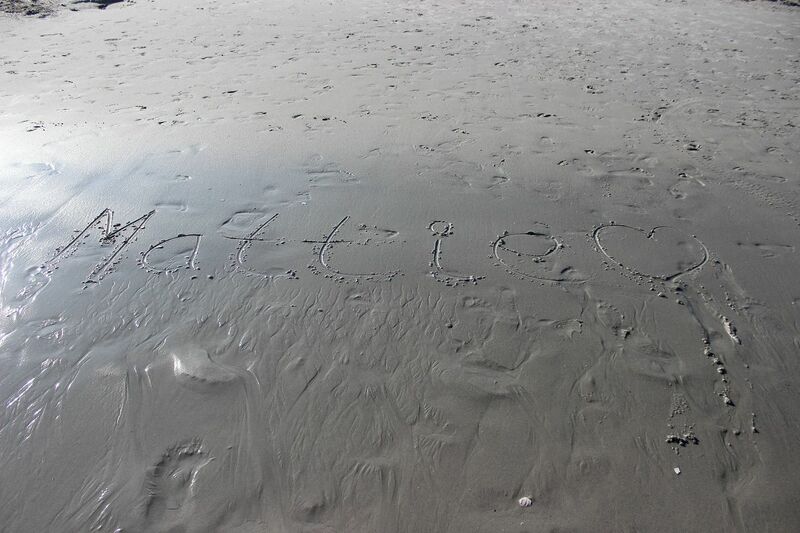 Mattie was definitely with us. 3. Mattie enjoyed getting dressed up for church! 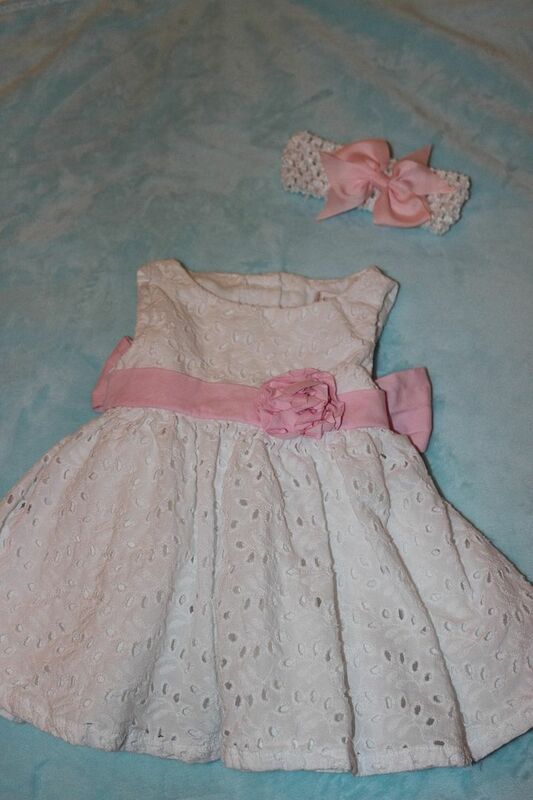 One of Miss Mattie's pretty dresses. The big bow at the back is my favorite! 4. 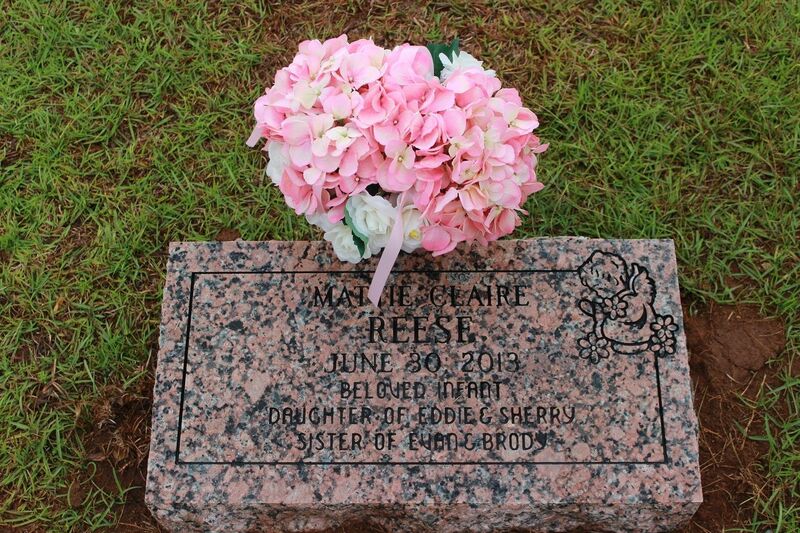 Mattie got flowers and a pretty new stone. Mattie's new stone was delivered. It was exactly what we hoped. 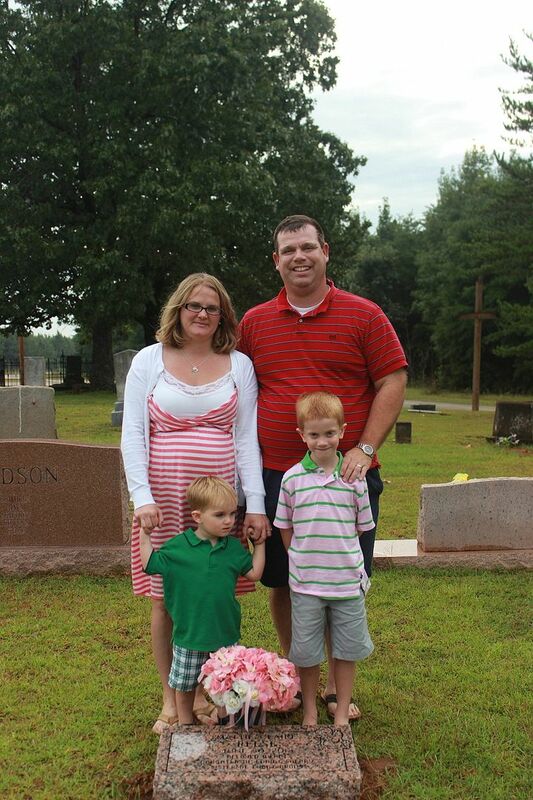 Our family gathered around Mattie. 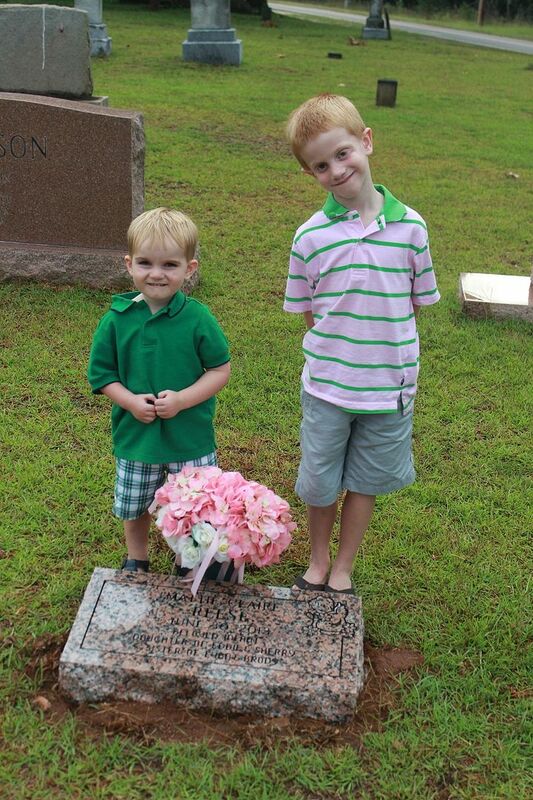 We love you, sweet Mattie, and we hope you can see how much we all miss you! 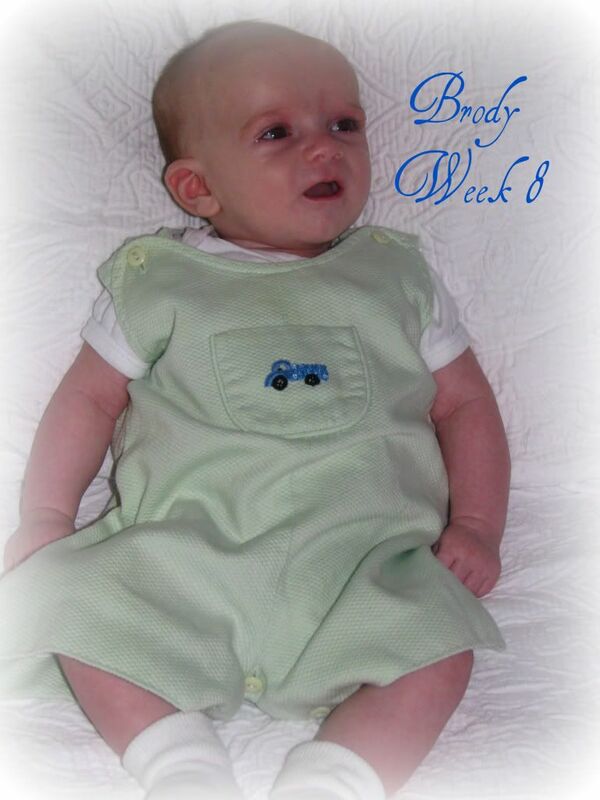 It has been the hardest months of Mommy's life having to live without you, but I hope you are so very happy! You melt my heart! I hope that you are doing well and staying strong! So many prayers are being said for you Sherry. I was thinking about Mattie the whole time you were posting about being at the beach. She would have loved wearing all those adorable swimsuits. 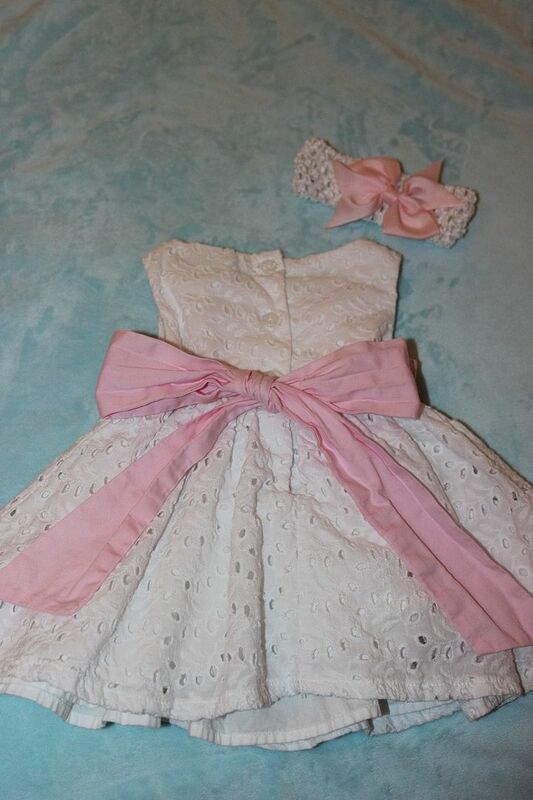 And I love her church dress. Her stone is beautiful and just perfect. Love and hugs to you. It is beautiful how you celebrate her. I can not imagine your heartache. Praying for you all the time. Looking forward to when we get to see our babies in Heaven. Hugs. My heart just aches for all of you while reading this. Mattie would have been so beautiful in her beach going attire. I know you missed her during every minute of your trip. Oh I still can't even imagine but her stone is beautiful! I'm so glad you guys take her with you!! !